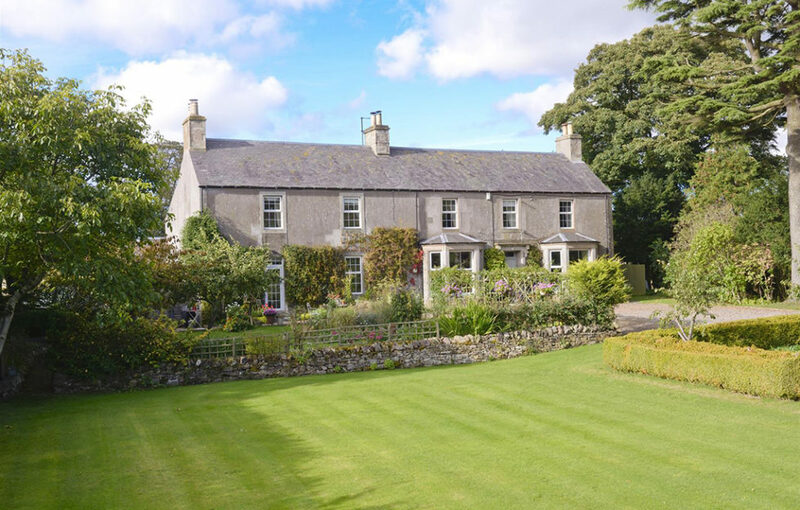 A stunning farmhouse in the heart of the Borders has been brought to the market. 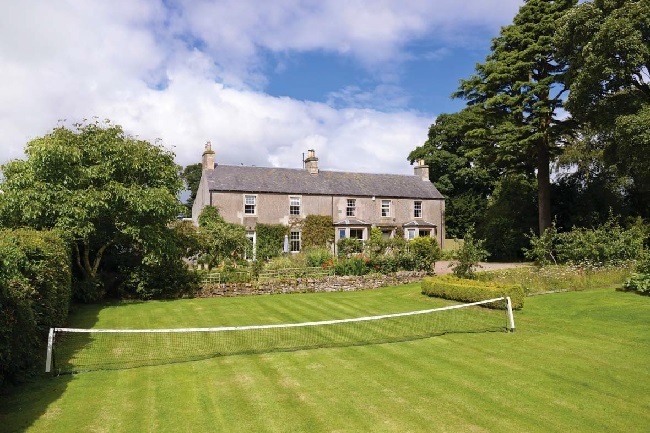 Kirkton Farmhouse enjoys a peaceful position in Roxburghshire, and this impressive period property dates back to the mid-1800s and has been beautifully upgraded throughout, offering an undisturbed lifestyle set in private grounds within idyllic countryside. 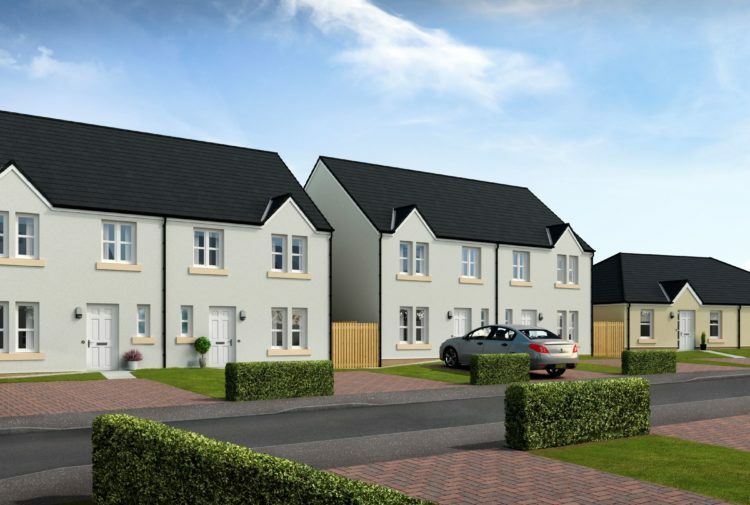 Conveniently positioned for the best of both rural living and modern requirements, Kirkton is nestled between the popular village of Denholm and Hawick; both of which provide for everyday requirements, leisure facilities and schooling. The property, being sold through Hastings Legal, offers the ideal family home, perfect for entertaining; detached and with plenty of room-to-roam, there is an abundance of flexible living space, five well appointed double bedrooms and a generous, private garden with outbuildings. 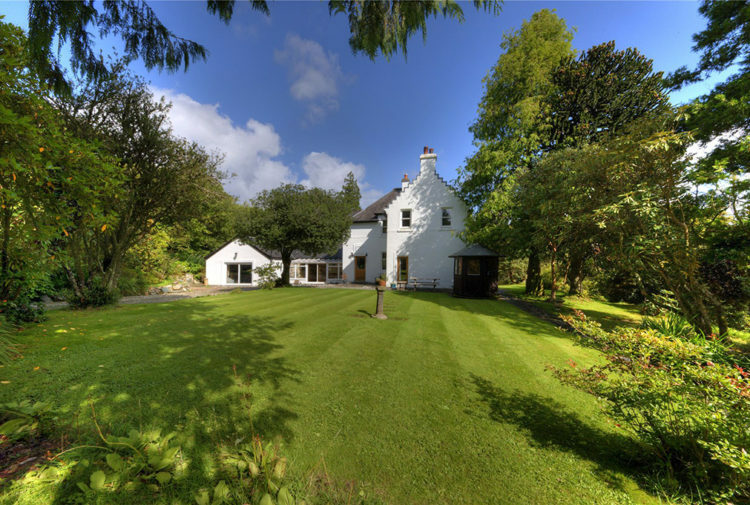 The farmhouse would also lend itself well as a B&B, with easy access to both Newcastle and Edinburgh via the A698. The property’s main door opens to a vestibule and welcoming hall; with doors to the receptions rooms and a carpeted stair to the far end. 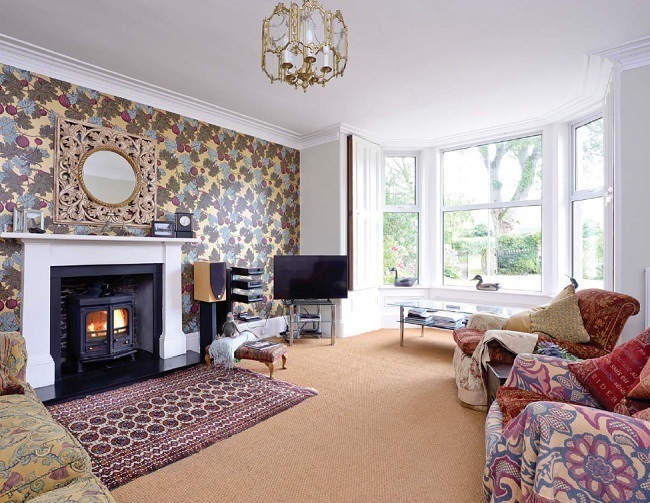 The drawing room opens to the right, and is a comfortable and spacious public room with wonderful retained features including a bay window to the front with working shutters, and impressive focal fireplace with woodburning stove. Across the hallway, the formal dining room is elegantly finished, with a bay window to the front, feature fireplace and ample space for furnishings. The hallway leads to the rear, with a convenient study and cloakroom opening off, with a further door leading to the kitchen. The stunning family kitchen is the definite heart of the home, with the open plan layout giving a relaxed feel and wonderful levels of light provided by the front-facing window and French door. The kitchen is fitted with timeless Shaker style base units and excellent counter and storage space, with range style cooker with extraction over and American fridge freezer giving a more contemporary look. 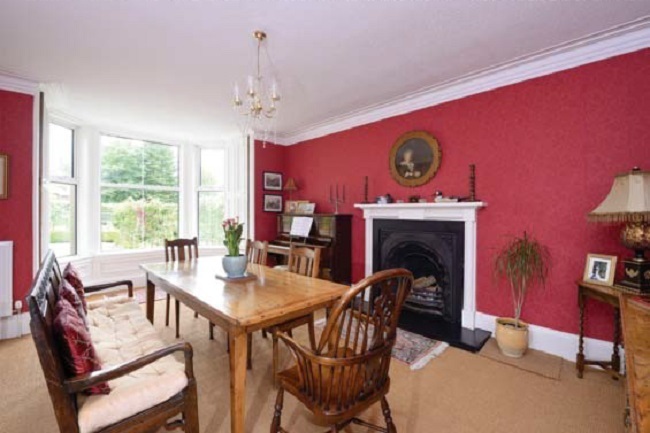 There is plenty of space for a large dining table and chairs, with a comfortable seating area with Charnwood burner. Ideal as an informal day room and perfect for family life. A very large pantry is accessed directly from the kitchen. A rear hall leads to the utility/laundry room with back stairs and also to a useful boot room. The first floor accommodation is finished in a continuous style, and is equally as impressive and well presented; hosting five well appointed double bedrooms, one with the benefit of an ensuite, a separate shower room and luxury family bathroom opening from the hall. The master is positioned to the front, with wonderful outlooks across the garden and king sized proportions, fitted with a neutral and fresh décor and feature fireplace. The second principal bedroom lies to the far end of the landing, with lovely dual aspect and decadent en-suite complete with roll top bath. The further three bedrooms are well appointed doubles, with the neighbouring shower room sitting towards the rear of the property, and a luxury family bathroom further down the hall; fully fitted with free-standing bath and walk in shower, with high-end finish and further bathroom accessories. Externally, wrought iron gates give a grand entrance to the striking grounds, which are a perfect compliment to the house and as functional as they are attractive. With ample space for parking provided by the sweeping gravelled drive, a grass tennis court and flourishing kitchen garden sit proudly to the front, with seating area and planted borders giving the farmhouse an appealing frontage. 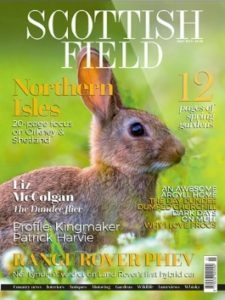 There is a chicken house and run in the corner of the vegetable garden, with a separate right of way leading to the rear gated entrance with parking, a secure garage/workshop, bothy complete with electrics and woodburner (making it ideal as a work or hobby space), a triple purpose-built dog kennel and a shed for the ride-on mower. There is access to the house via the boot room from the securely fenced and gated back garden. 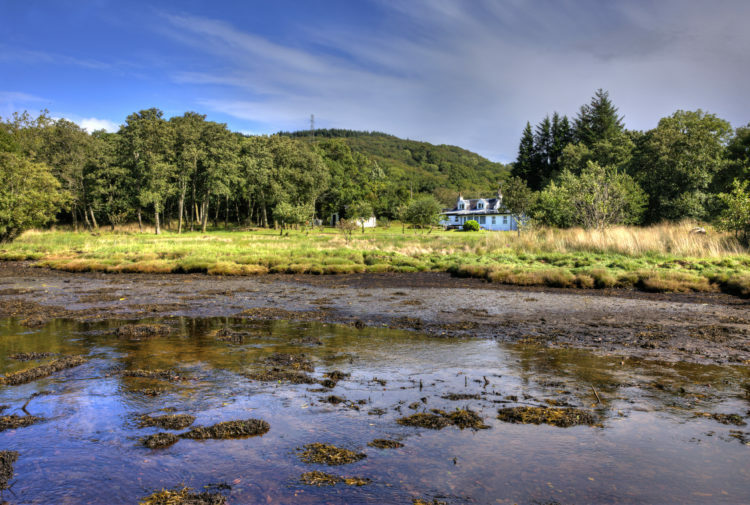 The property has a fixed price of £465,000.